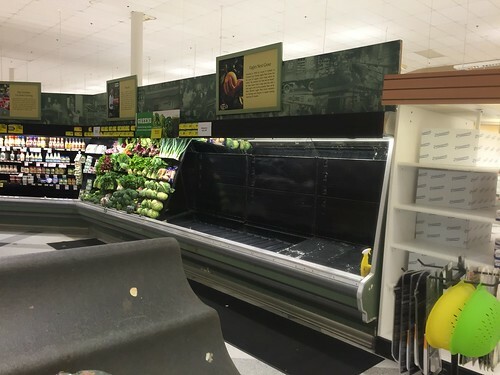 As soon as you enter the store, you're in the produce department. It's very big. 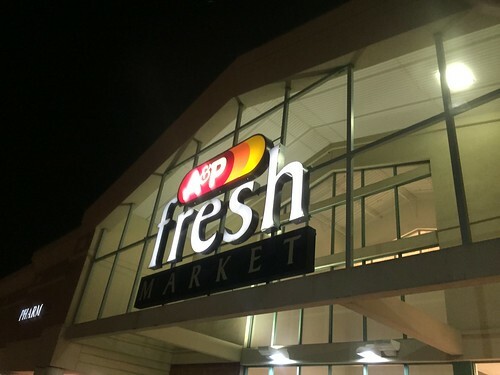 Images of historic A&P stores and brands line the produce cases, a signature feature in the Fresh decor. Floral is in a floating bubble rather than up against a wall near the pharmacy. 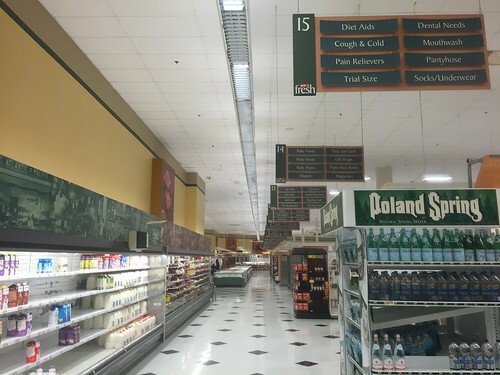 This store has a rather odd layout. Curling directory signs... how great! 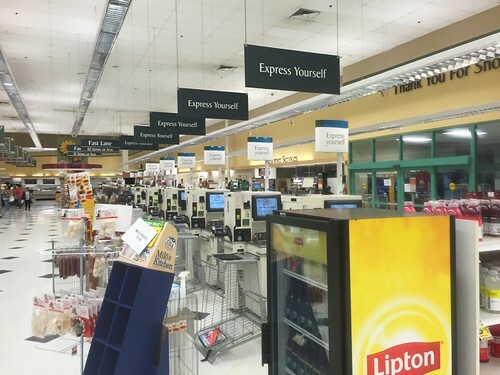 These aisle markers are different than later versions which uses a clamp to hold down the directory signs. These hang from the board. 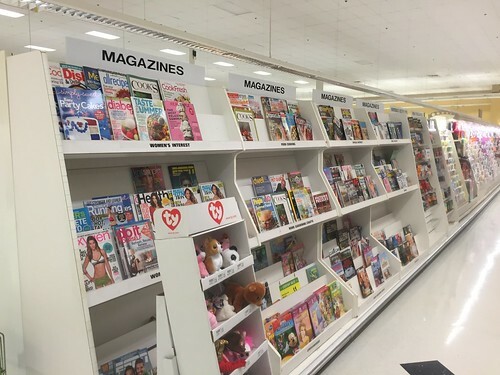 An aisle full of custom magazine display cases make this A&P Fresh seem more like a Borders Bookstore. 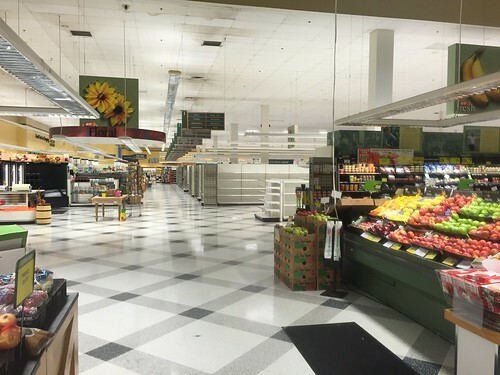 Back in Produce... No mural here! 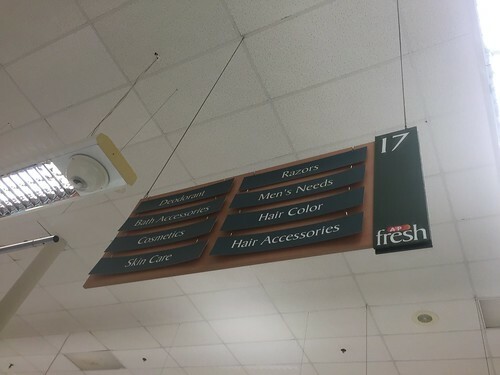 But there are plenty of Fresh departments under the drop ceiling on the right. 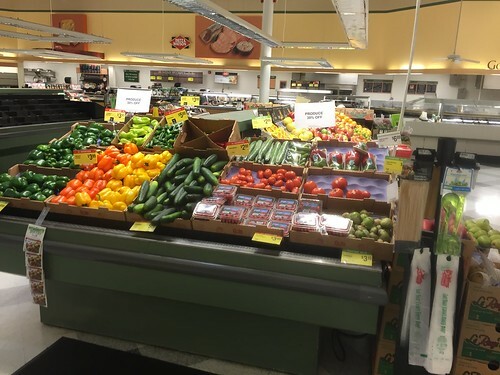 Fresh display of produce make this case seem really small and old. Meat and Seafood line the back of the store, along with an older Poland Spring case. "Acy Dept" are unfortunately not working at this time of night... too bad! This was a standard problem for these stores... A&P was probably making these signs by the hundreds, or maybe thousands! Very interesting find here! 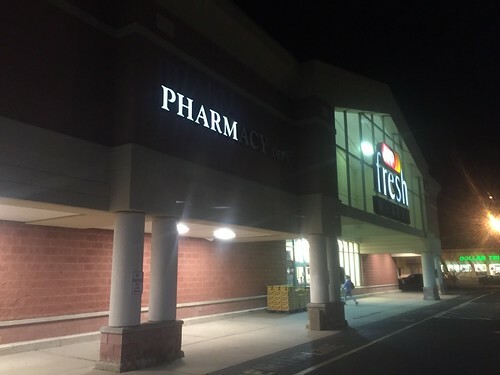 My local Publix at 4305 State Bridge Rd in Alpharetta, GA is built on the exact same model! I believe it may have been the last new built A&P in the Southeast before pulling out in 1999. 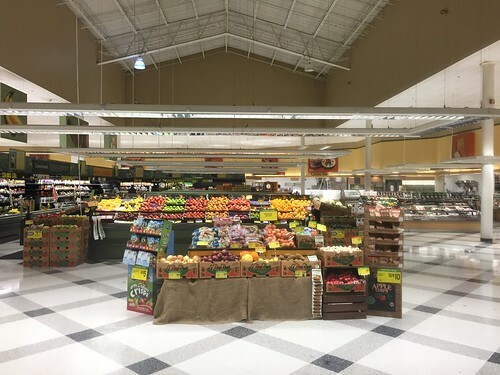 There is also a Future Store operating also as a Publix closer to Atlanta. That's definitely an A&P! I had no idea that they operated stores in Georgia until 2000. There's an article I found on it... (https://www.bizjournals.com/atlanta/stories/1999/05/31/newscolumn7.html) great find Jackson!